You often hear people talk about the “art” of fly casting, and I think that’s a good analogy. In my 50 years of fly fishing, I’ve come up with some pretty creative ways to make the line and the fly get to where the fish are. 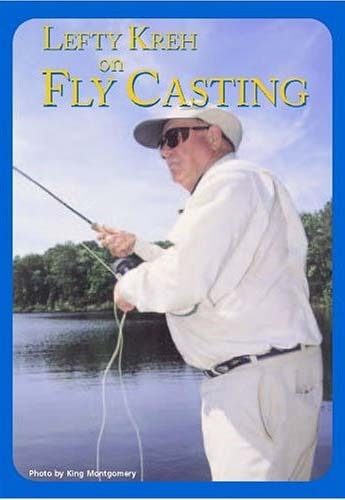 That’s the “art” of fly casting, but making the cast itself is really based on some simple laws of physics that enable the rod and the fly line to move the fly through the air. This is the “science” of fly casting. As a special feature of the DVD, we’ve provided an optional 2nd angle of viewing for most of the demonstrations. This allows the viewer to analyze techniques from both the side and behind the cast, fully demonstrating how the body motion determines the motion of the rod and line.